The fifteenth Habitable Planet Workshop in July took place in Limpopo, base camp set to be at the University of Venda. Five of the eight days were lecture focused while the other three were devoted to excursions. Participants of the programme are from different parts of the country and continent therefore OR Tambo was the central point of departure to Venda which is a six hour drive from the airport. The remoteness of Venda meant that two days had to be set aside for travel. This apparent inconvenience was a blessing in disguise as it allowed the participants to be acquainted and for discourse to begin. One of the appealing points of the programme is its interdisciplinary nature of attracting students in different fields and disciplines. This fosters an environment of learning and sharing as well as a platform for vigorous debate – a training ground for young scientists as it were. There are two types of lectures in the programme the first of which is a series of 30 minute lectures presented by students (former planeteers, Masters or PhD students). These short lectures form a progressive chain of concepts which seek to explain why earth is a habitable planet as the purpose of the workshop requires. From the big bang theory which suggests that matter as we know it began with a cosmic expansion from a single point, to the rise of complex systems that manifested into life, the story of how the planet became habitable is not a futile one. The second type of lecture series were presented by field experts, each commanding an extended duration for the talk, filled with industry or institutional expertise. 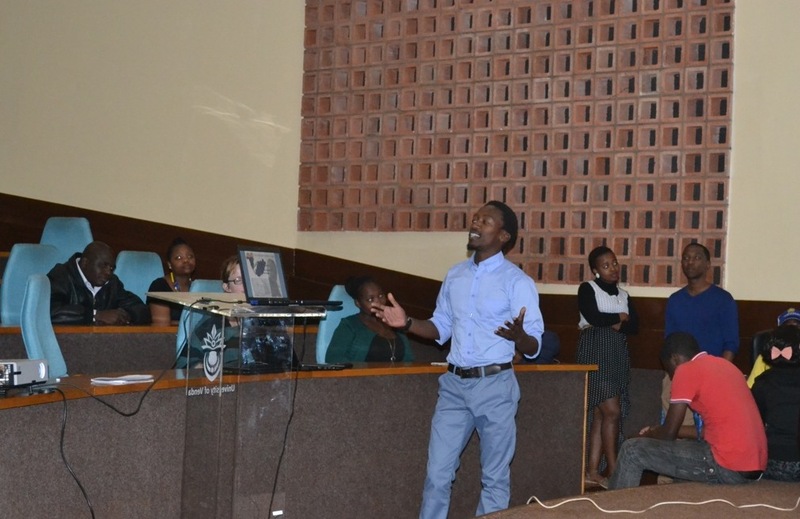 These lectures were especially significant in understanding the context in which all the abstract concepts of earth system science operate, an illustration of this is a lecture by Hectore Chikoore whose lecture was about the Natural Hazards of drought in Southern Africa. Every participant was given the task of preparing a presentation with other participants that reside in the same province prior to the workshop. The mandate was simple, prepare a presentation about the place in which they reside or are from, bringing attention to their country’s or province’s unique biosphere, geology, climate and any other feature of interest. Many people included the anthropogenic element and this is relevant given that different cultural groups tend to have their stronghold in specific provinces and their way of life also speaks volumes to how they interact with the environment even though the country is becoming more homogenous as society changes over time. This aspect of the workshop is especially profound because most planeteers did not know much about what makes their places of resident or birth so special until they embarked on research for the “Special time, Special place” segment. Every presentation was well researched and managed to sell the “speciality” to its audience. It is not clear if one of the objectives of the presentations was to arouse a sense of pride and protection over ones special place nonetheless, planeeters did not disappoint in this regard. The temptation to boast about the biological treasures that each place held was just too great and none of the planeteers held back. A sword fight is unmatched for what transpired especially between the host province Limpopo which assumed the position of the underdog but gave the cosmopolitan provinces a run for their money. The Eastern Cape presenters were not lying low by any means, with the biggest contingent and the lengthiest presentation they sought to ensure that all aspects were covered and beyond. Gauteng presenters were nothing short of entertaining displaying their versatility in presenting by drawing inspiration from a tv talk show. Pride oozed from the Kwa-Zulu Natal presenters as they made mention of their rich history and contended that in their province they not only hosted the Big Five but the Big Six with the inclusion of a marine mammal. The bread basket of the country as we were informed by the Free State presenters is understated even though its contribution is significant to the country’s economy especially through the agricultural sector, and they were all too happy to set the record straight as far as the history of mining is concerned. As if being home to one of the six plant kingdoms in the world and the meeting place of two ocean currents was not enough the Western Cape presenters caused a stir with a mention of a geological contact point that left some questioning its uniqueness. Thanks to Darwin’s interest this point has in fact been proven to be a significant part of the first of novel geological discoveries that disapproved conventional knowledge of the time. The Habitable Planet Workshop is held in different provinces depending on the selected host institution. 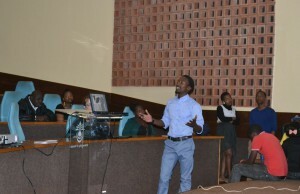 For the 15th HPW, the University of Venda was host to the workshop therefore all excursions where aimed at showcasing what was unique about the province of Limpopo, remaining consistent with the theme of “a special time and a special place”. Limpopo is one of the most underrated provinces in what it has to offer. Different to the more cosmopolitan provinces such as Gauteng and the Western Cape and Kwa-Zulu Natal, we know that it is home to the first Kings and Queens of old civilizations but its charm lies in its undiscovered treasures that are only coming to light now. Kruger National Park is one of the iconic places in South Africa that tourists flock to in order to see the Big Five. 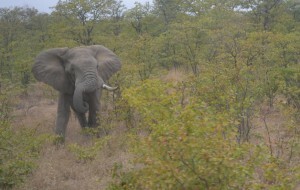 The extent of the area is so vast such that seeing all the members of the Big Five on a visit is not guaranteed. A disclaimer is appropriate in this instance. For many of the participants a trip through the park was novel with high expectations of spotting a pride of lions or seeing the threatened rhino. Unfortunately, no lion or rhino was spotted and thus the bucket list was not fulfilled but this did not dampen the excitement of sighting other big animals and identifying them with the help of field guides and bird apps, even with the constant challenge of pleading with the bus driver to slow down or stop at any given moment. On the list (not exhaustive by any means) we can proudly say the following animals were spotted, elephant; water buck, crocodile, giraffe, buffalo, impala, vervet monkey, kudu and hippo. Birders were also treated to colourful birds of the Lowveld such as the hornbill. The Letaba camp which overlooks a large sandy river is home to the elephant museum on the park. Curious minds and tentative ears listened to the Park’s friendly staff teach about the life history of elephants and the management of these charismatic mega herbivores on the Park. The trip was concluded with a braai, conversations and many laughs. Home of the Rain Queen, high in the Lobedu Mountains lies the Cycad reserve which has been found to have the highest concentration of the endemic cycad Encephalartos transvenosus. The reserve is truly remarkable in the sheer number of cycads it holds. Walking through the path gives one the impression of stepping into a whole new world. With the trade of exotic species so rife, one gets to appreciate why conservation efforts are so important in preserving what remains of these slow growing yet resilient “plant dinosaurs”. Cycads are the oldest living seed bearing plants having survived three major extinctions, it is therefore imperative that their conservation is not ignored as they are living specimens of biological history. It was encouraging to learn that their oil producing tissue makes them incredibly flammable but also as potential candidates for an alternative fuel source. Mass propagation of the plant may not only ensure its persistence for posterity but also protection for its usefulness. A scientist’s haven is when myths are disapproved and questions are answered. With this said, the trip to the Modjadji homestead was a battle field where belief based on observation conflicted with science which contends that one needs to be able to test a hypothesis. Perhaps this is a challenge which can be taken upon by budding scientists. The visit to the Modjadji homestead was enlightening and sparked vigorous debate on the subject of the validity of rain making by the Rain Queen. 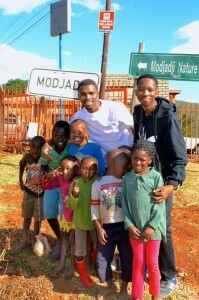 Our journey began with the removal of shoes at the entrance of the royal kraal as custom dictates. This is where one of the elders of the Royal Council talked us through the story of the people of Balobedu, the royal family and “Rain Making”. The tour included a walk around the huts of Modjadji’s wives or “ladies in waiting” and the succession hut which is accompanied by stories heavily laden with mysticism. The enigmatic tales of the Modjadji dynasty sparked in interest amongst all. Planeteer close the to Edge on Mapungubwe hill. 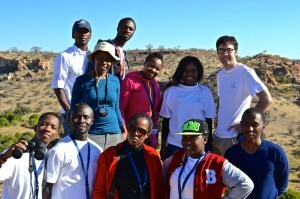 The trip to the UNESCO Mapungubwe Heritage Site was a significant one for many. Majestic baobab trees scattered across the landscape amongst the dominant mopane trees taking root in the warm arkosic sandstone is a setting for a rich history of a land teeming with activity and civilization. The Mapungubwe Kingdom was made up of a thriving group of Iron Age settlers. Archaeological evidence shows that they occupied the landscape according to different social classes. While the royal family inhabited an elevated area now known as Mapungubwe Hill, the commoners lived on the foot hills. Lucrative trade centres arose where commodities like ivory were highly sort after by China, Arabia and India. Evidence of such exchanges is also shown in jewellery made of glass beads which can only be brought in through trade since glass bead making was not a skill the people of Mapungubwe possessed. The people of Mapungubwe were successful farmers and herders but also continued to hunt and gather. What makes Mapungubwe special is the redemptive feeling it evokes in an age where the Africans voice was silenced by undocumented history and the heavy hand of colonial influence. The Heritage site centre architecture is cleverly integrated into the landscape and skilfully designed mimic the undulating hills. The highly informed rangers speak with pride about the area, open to questions and unceasing debates initiated by fellow planeteers. The Safari drive to the Mapungubwe hills site allowed us to see the wild life we longed to see at the Kruger National Park. It was also sobering to walk in the steps of what may have been a forgotten civilization and to see the faint remain that they left behind. The Habitable planet workshop would not be what it is without the variety of people that it boasts and this was evident at the cultural evening. Everyone who was a part of the workshop had the opportunity to share a little bit of their culture with the rest; the medium this came in was the prerogative of the performer. Traditional dress brought about energy of pride and sense of identity. The Xhosa, Basotho, Venda, Tsonga, Nigerian, Ghanaian, Pedi, English or a mixture of traditional dress created a kaleidoscope of what it is to be African today ; bold, colourful and beautiful. The Xhosa planeteers graced us with their praise names, a proud utterance and claim of their lineage. Spoken word and traditional story telling also took centre stage, reeling us in with the inflection of the voice and punchlines. Africans love to dance! And they did not disappoint. Dance was the most favoured expression of culture after traditional dress. The host institution spoilt their guests by inviting a Venda and Tsonga cultural group to perform traditional dances which far exceeded any expectations we may have had. One particular lady stole the show when she removed her top bearing her bosom as she danced freely to the rhythms of the drums she knows so well. We also got a taste of Europe with a short piece called the Morris Dance performed by Dr Carl Palmer to the delight of those who have never been exposed to that part of the world. Things were not kept traditional throughout the night with the Zimbabwe gentlemen taking to the floor with their contemporary flair and some fancy foot work. The most impressive hip action to be witnessed came from our Tanzanian planeteer. He left the ladies envious of his skill and rhythm. Dressed in his stripped black and white our Ghanaian planeteer proudly performed signature moves of the Ghanaian dance. 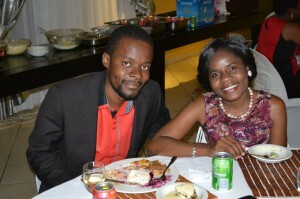 The evening was concluded with a dish tasting of traditional Venda cuisine like mopane worms and beans. The World Game is a fascinating scenario based simulation of the interaction between different nations which face similar and different challenges. The idea is that planeteers use strategy, bargaining chips and a host of other skills to navigate through their challenges and become the ultimate winners. The world game has proven to be one of the highlights of the workshop so the vague description of how the game is played is intentional. This is to ensure that the game’s place in secured in the program for future planeteers who will embark on this journey. A conclusion of the workshop meant this was the last opportunity to capture memorable moments and also thank those who were responsible for rising up to the occasion and making the workshop the success that it was. Serious engagements took place but many laughs were also shared throughout the workshop thus the atmosphere at the dinner was nothing short of jovial. A Fun awards ceremony was held, a first of its kind, to celebrating the quirks, odd talents and personalities of distinguished planeteers. Friendships were made without a doubt, an encouraging sign for the future of our continent. To understand why the planet is habitable begins with accepting that the earth is a complex and sophisticated system which is not as well understood as we have come to believe. Yes, man has taken great strides in understanding the planet we live in but how the planet responds to climatic changes is still an enigma. If this statement does very little to convince one to step back from conventional knowledge then consider the polarizing climate change discourse which has scientists vehemently opposing one another. Once we recognise and fully appreciate what makes our planet so beautiful and special, only then can we find the intrinsic value of conserving even the most seemingly insignificant part of our natural system. We can not divorce the natural world from anthropogenic activity nor can we justify turning a blind eye to the human condition but we can manage the different challenges through understanding and innovation. The student presentations were one of the strong points of the workshop and managed to drive this point across aptly. When we see and are reminded of the great value that the earth has we can become stewards of the earth irrespective of the different disciplines.